LEX Scientific offers a variety of analyses to troubleshoot water and air filtration problems and help you determine the best filter size for your system. LEX has significant expertise conducting indoor air quality investigations to help you pinpoint any air quality issues. For more information, visit our Mould & Indoor Air Quality page. We can also provide advice and directions for further water testing. 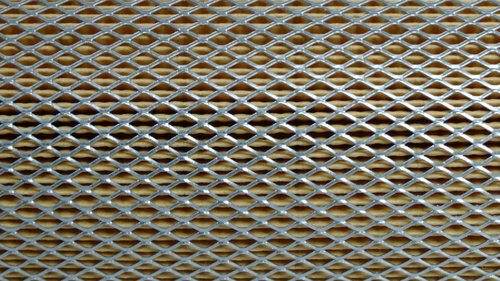 Filters are generally measured by micron rating. This rating indicates the ability of a filter to trap particulate by size of particle in microns. By combining total suspended solids (TSS) and particle size distribution analysis, we can determine the size range of particulate matter suspended in your water or in your air vents to help you establish the micron rating of filter required to remove the most particles. Additionally, if an unknown material is blocking up your filter, we can employ materials identification techniques to determine the composition of particulate matter in your water, air and filter. WHAT IS TOTAL SUSPENDED SOLIDS (TSS)? TSS is the dry-weight of all inorganic and organic particulate matter in water that could be trapped by a filter (generally particles larger than 2 microns). This covers all particulates and biological systems floating in the water column and all settleable solids including sediment, silt, sand, plankton and algae. High levels of suspended solids will reduce water clarity and increase turbidity. While a high suspended solids concentration does not indicate a water quality issue on its own, a sudden rise in these levels can be cause for concern.